It's almost time for a game. I guess I should write. The team bus got stranded egads, what a fright. The weather was frightful, buttloads of snow. The plane was re-routed let's all blame Mike Yeo. It took 15 seconds, I call it a fluke. Let's talk about strategy, get down to brass tacks. The Opponent is Buffalo, they'll probably play Miller. This stanza is worthless, just a stupid space filler. The clock's moving slow, gametime, please hurry. 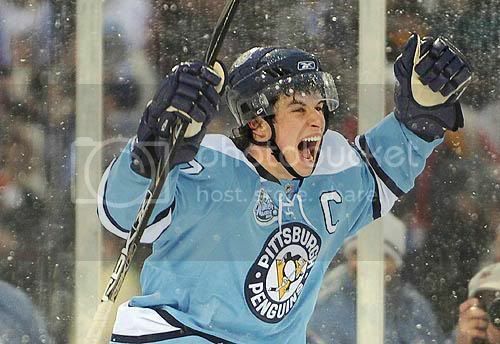 Drop the puck suckers and scream Let's Go Pens!! Miller is 21-8-3 in 32 games this season with a 1.98 GAA and .935sv%. The game kicks off a 4 game road trip. BUF/NJ/TB/FLA. It was snowing in Buffalo. 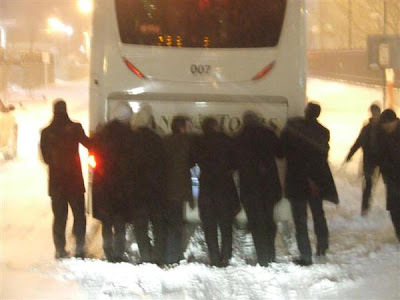 The bus got stuck. I was too lazy to find a word that rhymed with Granato. Unless you play with a white stick with red tape around the end, knock it off with the blind passes. Geeesh. Get the puck out of the defensive zone. This has been a sore spot lately. 2nd period Interview with Tony Granato. Mike Yeo and his Chia Pet head scares me. Mr. Malkin, please stay out of the box. K'Thnks. Let's turn this Mother Out! !